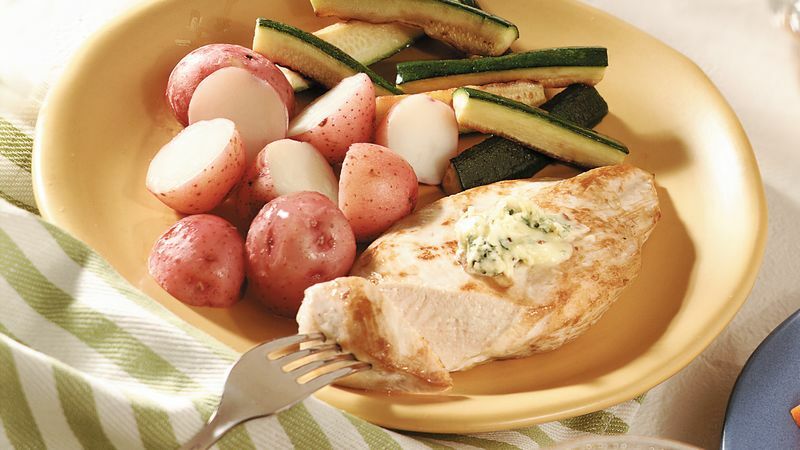 Cook frozen chicken breast halves as directed on package until fork-tender and juices run clear. In small bowl, combine butter, parsley and garlic; mix well. Spoon into small serving bowl. Serve chicken topped with butter mixture.